The Prophet is playing in Cincinnati! Kamila cleans house for exiled artist and poet Mustafa, but the more difficult job is keeping her free-spirited young daughter, Almitra, out of trouble. The three embark on a journey meant to end with Mustafa's return home - but first they must evade the authorities who fear that the truth in his words will incite rebellion. 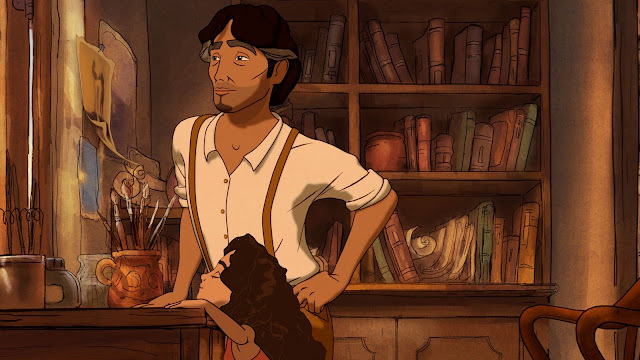 The film is traditionally animated drama and based on the book by poet Khalil Gibran that was first published in 1923 but has been read widely around the world since then.